The Texas Department of Agriculture (TDA) conducted a referendum pursuant to Texas Agriculture Code, Ch. 80, and Texas Administrative Code (TAC), Title 4, Ch. 27, for the establishment of a citrus pest and disease management zone, a maximum annual assessment rate and the election of members to the board of directors (Board) of the Texas Citrus Pest and Disease Management Corporation (the Corporation). The referendum passed, establishing the Lower Rio Grande Valley Pest Management Zone, which consists of all of Cameron, Hidalgo, and Willacy counties (Zone), with a maximum assessment rate of $125 per acre, and ten members were elected to the Board. The Corporation, a Texas nonprofit corporation, is designated to plan, carry out, and operate suppression programs to manage and control pests and diseases, including the Asian citrus psyllid and citrus greening, in citrus plants in the state under the supervision of TDA. Texas citrus producers in the Zone are required to participate in the program. A citrus producer is a person in the Zone who grows citrus and receives or intends to receive income from the sale of citrus. The term includes an individual who as owner, landlord, tenant, or sharecropper is entitled to share in the citrus grown and available for marketing from a farm or to share in the proceeds from the sale of the citrus from the farm. The term includes a person who owns land that is primarily used to grow citrus and that is appraised based on agricultural use under Ch. 23, Tax Code, regardless of whether the person receives income from the sale of citrus, and there is an irrebuttable presumption that the person intends to receive income from the sale of citrus. All citrus producers within the Zone are required to participate in the suppression program by timely reporting acreage and payment of assessments, and complying with program rules. All commercial and noncommercial citrus, citrus grown for ornamental, research, or any other purposes and the location of such acreage, must be reported yearly to the Corporation, no later than March 1, 2017. Documentation of acreage can be submitted as a copy of your most recent tree insurance acreage report, the most recent county appraisal district records, or by appointment with the Corporation to review maps. Assessment shall be $25 per net planted acre. The assessment rate will be set yearly by the Board, and shall not exceed $125 per acre. 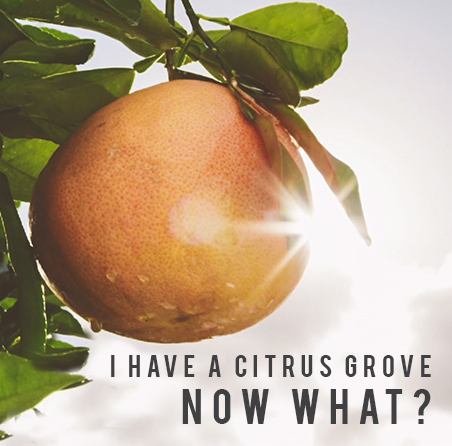 Billing statements for assessments based on reported acreage will be sent to citrus producers by May 1, 2017, and assessment payments are due by June 30, 2017. Payments will be considered past due on July 1, 2017. Compliance with any rules or procedures established by the Department or the Corporation for implementation of the suppression program in the pest management zone is required. The suppression program itself will consist of a coordinated effort to mitigate the threat of HLB transmission to commercial citrus groves by scouting for ACP in managed groves and using an ACP biocontrol approach in residential areas near commercial citrus groves. Compliance is achieved in any individual grove by a finding of ACP population levels at or below a threshold of an average of 10 ACP per grove or 10% egg/nymph infestation. If a grove stays at or below the accepted threshold for all 3 consecutive cycles, the grove is considered in compliance and monitoring is terminated after the end of the 3rd cycle. If ACP population levels are above threshold (non-compliance) during any of the 3 consecutive cycles, as a first step at helping to improve the situation the TCPDMC will provide educational materials on suggested treatment programs to the affected grove owner and request that they arrange treatment for the grove as soon as possible. On the next scheduled visit (2 weeks later), if ACP levels remain out of compliance a certified letter will be sent to the grove owner requesting again that they treat for ACP. On the third visit (1 month after initial non-compliance), if ACP levels remain out of compliance the TCPDMC will initiate its own treatment of the grove as soon as possible. A follow-up visit will be conducted 1-2 weeks post-treatment to confirm that ACP levels are in compliance after which monitoring in that block will terminate. Through grant funding, the Corporation is providing biological control near conventionally-treated groves throughout the citrus production zone, organically-certified commercial groves throughout the citrus production zone and abandoned and smaller residential groves (not traditionally managed for ACP). 27.303. Penalties for Non-Payment of Assessment and Failure to Timely Report Acreage. Upon receiving notice from the Corporation that a producer has failed to pay an assessment by the past due date of July 1, 2017, the Texas Department of Agriculture may assess an administrative penalty against the producer. A penalty assessed for failure to timely report acreage shall not exceed $50 per acre.